So this week I want to read Illuminae, Gemina, and Hamilton and Peggy!. The colonies are in the throes of the Revolutionary War and caught in the midst of spies, traitors, Loyalists and Patriots, is the charming, quick-witted Peggy Schuyler—youngest of the famed Schuyler sisters and daughter of General Philip Schuyler. Her eldest sister Angelica, the "thief of hearts," is known for her passion and intelligence, while kind, sweet Eliza has a beauty so great, it only outshone by her enormous heart. Though often in the shadows of her beloved sisters, Peggy is talented in her own right—fluent in French, artistically talented, and brave beyond compare. 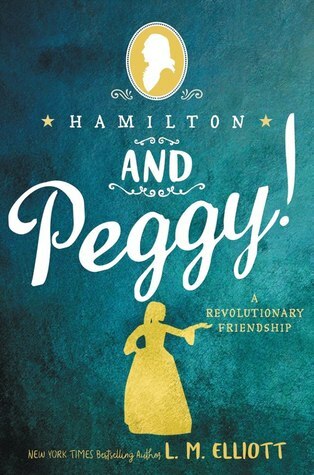 Hamilton and Peggy looks like fun! I love historical fiction books and Revolutionary time is one of my favorite settings. Thanks for sharing! I know! It does, and what with all the hype around the Hamilton musical, it's pretty timely :) Thanks for stopping by! Happy reading! I so love The Others series. I recently read them all again too. I'm tempted to read them again for the third time but my review stack is also calling to me. Come see my week here. Happy reading! Me, too! It's just an amazing world with great writing! There's just so many books on the TBR Pile to reread books over and over :) Thanks for stopping by! Happy reading! My daughter would like Hamilton and Peggy. 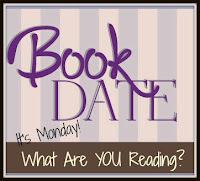 Come see what I'm reading this week. Awesome! I hope if she reads it, she enjoys it! Thanks for stopping by! Happy reading! I hope you like the Illuminae books. They’re lots of fun. Have a great week! Oh, I've read them before. I'm just rereading them before the release of Obsidio, because it's been so long, and they were just so freaking amazing! And yeah, really enjoyed reading them again :) Thanks for stopping by! Happy reading!